Get ready for backyard barbecues or quiet summer dinners on the two-level patio! 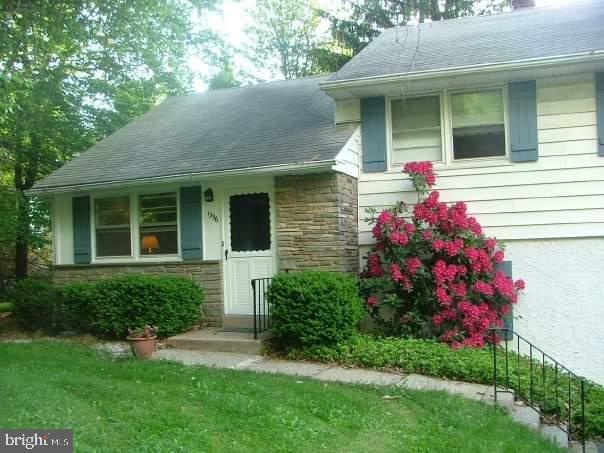 On a spacious lot backing up to wooded areas and plenty of privacy, this charming family split level feels like home. Enter to the living and dining areas (beautiful built-in shelving!) and kitchen on the main floor perfect for entertaining. Gorgeous quality wood flooring throughout main and upper floors. Up a half staircase youll find three bedrooms and a full bath, as well as plenty of closet space. Venture up a few more stairs to a floor-through storage area easily converted to more living space. Back on the main floor walk through the kitchen and down a half-staircase to a bonus room, laundry area, half bath and exit to the garage. Happy family memories are in the making.